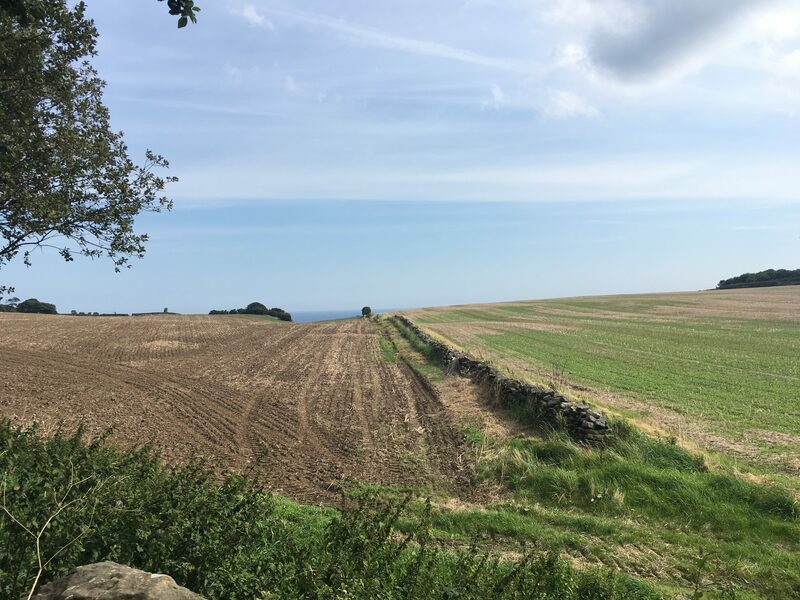 Cloughton to Hayburn Wyke walk – involving tea, pub lunch and cream meringues! We recently spent a weekend glamping on Yorkshire’s east coast. 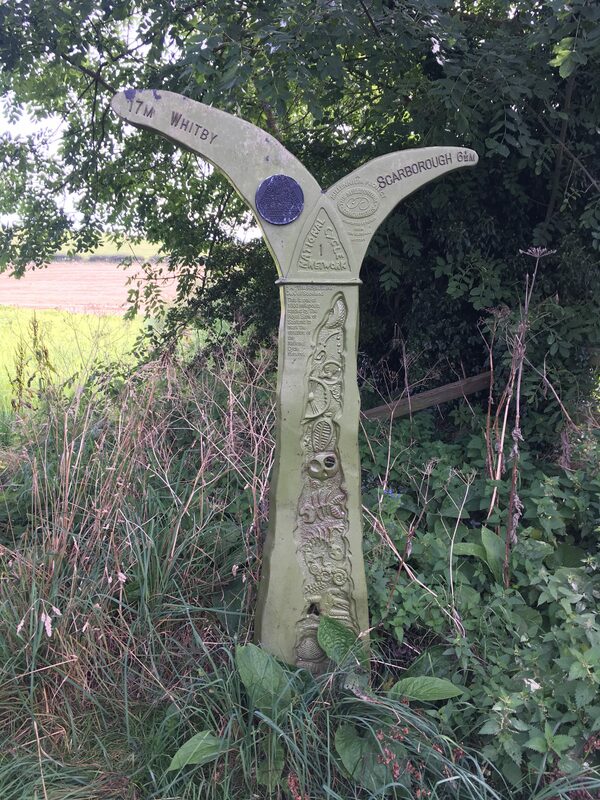 I found a lovely sounding walk on the North Yorks moors website from an old railway station and then along the coast, on the Cleveland Way. 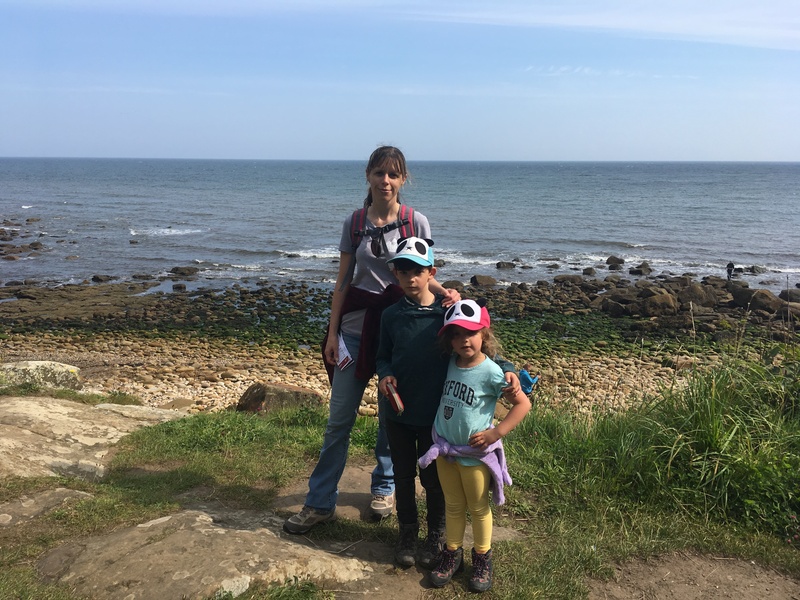 The kids grumbled slightly as we had done a big walk the day before to Filey from where we were staying. However, as soon as I mentioned a tea room at the start, pub lunch in the middle and a walk on the cliffs, they became much more interested. 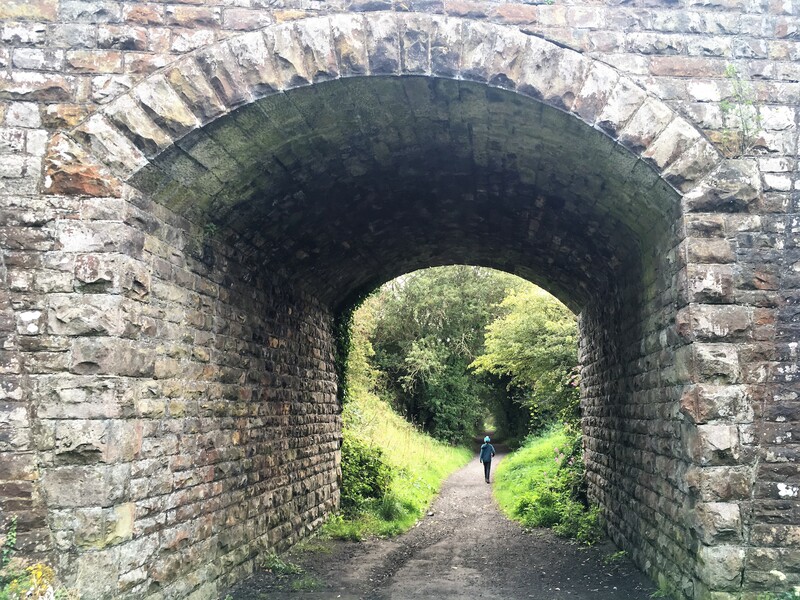 The walk didn’t disappoint and we set off from the old railway tea rooms at Cloughton, and made our way to the path on the cliffs above the coast. My rock leaping son had been warned to not go near the edge or try anything silly! It really was a beautiful walk along the coast and through wooded sections, parts were a little steep and certainly got the heart pumping. 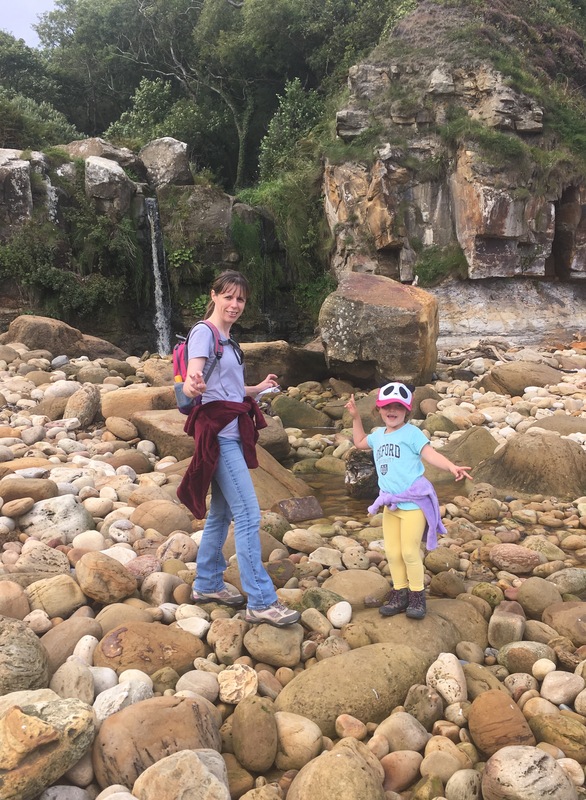 It wasn’t long before we made it to Hayburn Wyke and down to a rocky cove with waterfall and massive boulders. My Daughter had wanted to bring her bucket and spade on this walk and I was so glad we hadn’t bothered, this wasn’t a cove for sand castles. The rocks were massive and we all enjoyed climbing over them to get nearer the shore. We carried on up the path to Hayburn Wyke and stopped for lunch at the pub. Well why not?! We were on a mini holiday. 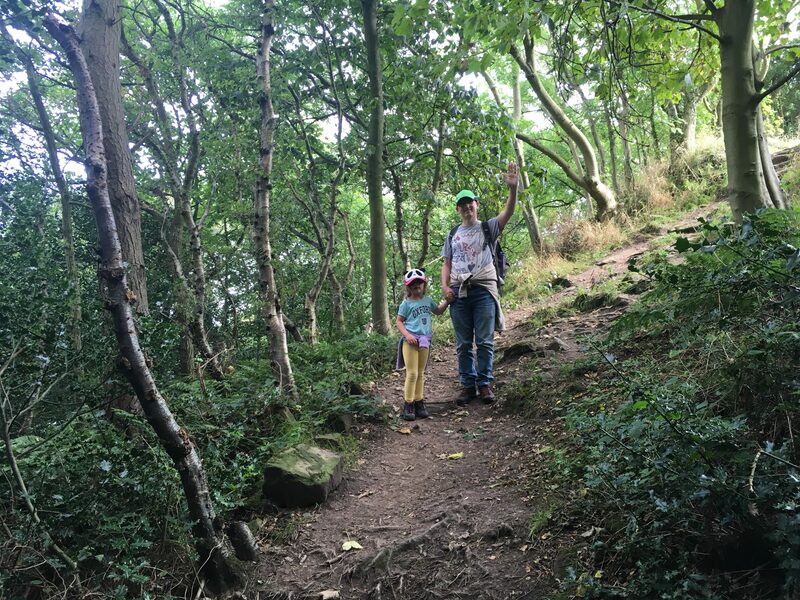 After lunch, we made our way down the old Whitby to Scarborough railway line and it was an easy walk back down to where we had started at Cloughton. We arrived back at the tea rooms in time for afternoon tea. 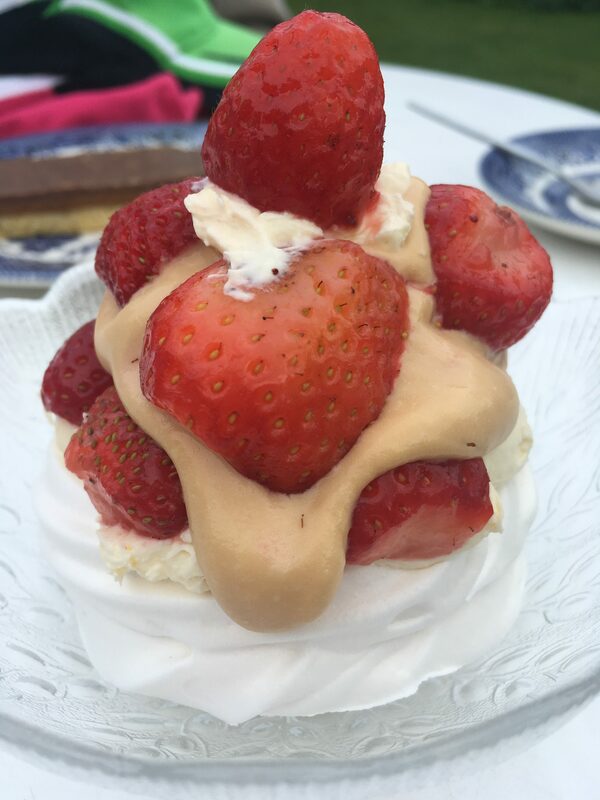 I tried the summer special of Strawberries, meringue and toffee sauce which was delicious. I’ll walk it off another day! The walk was approx. 5 miles and we parked on Station Lane. Remember to take money to pop into the tea rooms or pub! Both take cards but there is a minimum spend. The cliff paths might be scary for Mummy’s with rock leaping children, but they are well-kept and if you stay on the path you don’t get too near the edge. It is quite steep in places. 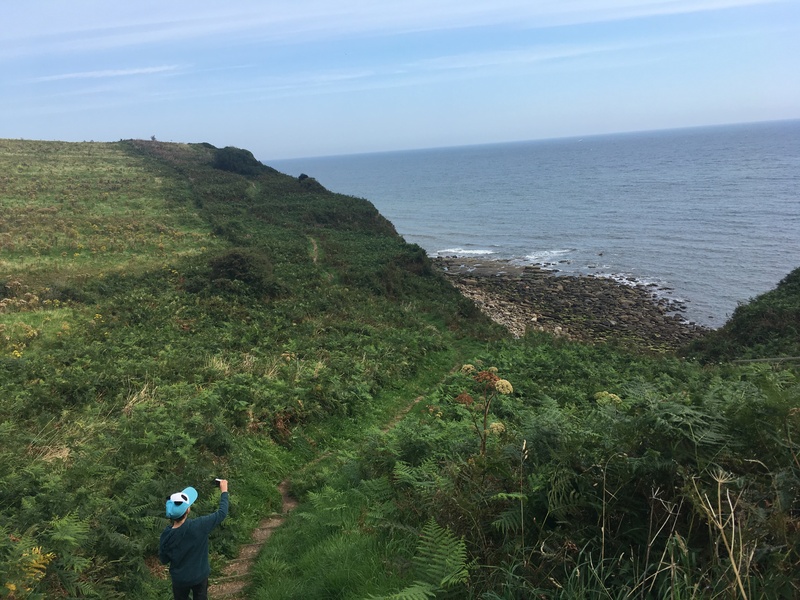 If you don’t fancy the cliff part of the walk you could just walk up to Hayburn Wyke on the old railway path with is nice and flat, watch out for cyclists! For more photos or to join in the chat why not pop over to my Facebook page. Have a walk suggestion for me? Let me know in the comments. 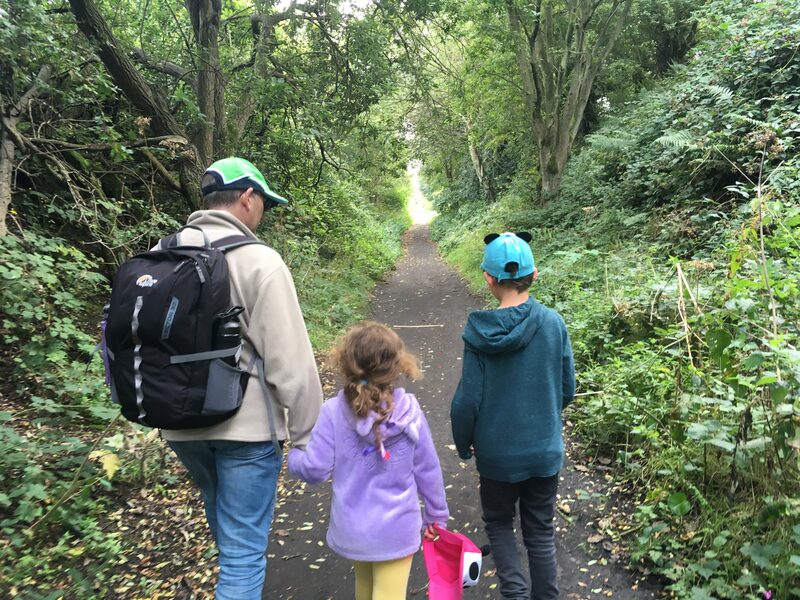 What a lovely walk to do as a family. The pub and Tea rooms sound like the perfect bribe for reluctant kids. The coast path can be dangerous here too, but with danger comes beauty and it looks like you had some wonderful scenery for your trek. Well done the kids on another 5 miles. I’m looking forward to the next one and what delicious treats are involved. The whole family enjoyed this one for some reason! Thanks for reading. that looks like a great walk especially with all that food! It’s a good job we do lots of walking to walk off all that food! Thanks for popping over. Thank you it was a great walk, we really enjoyed it. Give glamping a go! It’s usually a lot more comfortable that camping and lots of places do the hot tubs as well now. The walk was lovely and the food incentive kept the kids going. Thanks for reading. It’s a lovely area to go exploring. 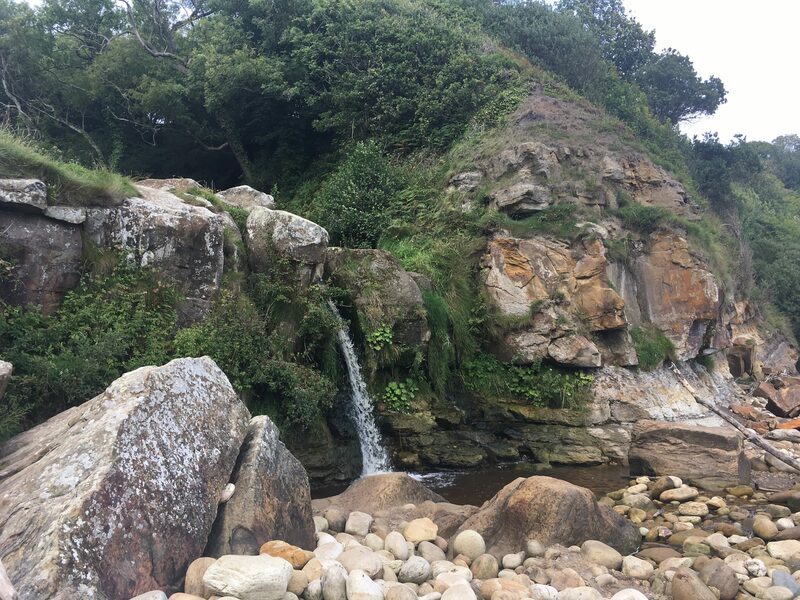 The waterfall on to the beach was lovely, I could have stayed and watched it all day. Thanks for reading! What a lovely walk! Definitely something for us to look into next time we’re up that way. There’s lots of lovely places to discover on the Yorkshire coast, so worth a visit when you’re next up. Thanks for reading! We certainly did! Thanks for popping by. Thanks for reading! Tea rooms and cake make a good walk complete. Thanks for reading. 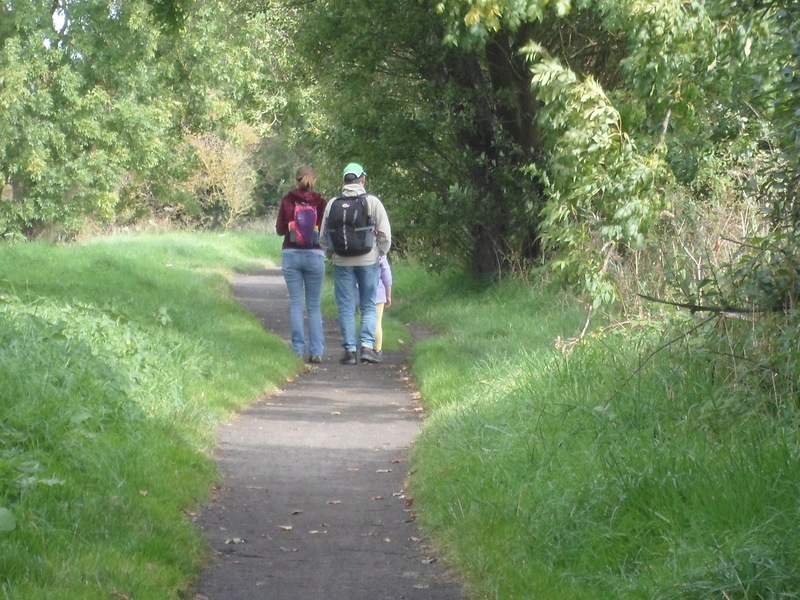 It’s a walk that has something for all ages! Lots to do in Yorkshire from coastal walks, canals and river or moors and fells. I love the variety of the landscape but then I am biased. Funny how the promise of a tea room, pub and some cliff walking can soon get the kids on board haha. Yours sound very much like ours – very much open to bribes. The walk looks lovely and just a nice length for the kids. Thanks for joining us on #adventurecalling . I hope you can when it opens again tomorrow. Bribery walks a long way! It was a great walk just the right length for little legs. Thanks for reading.